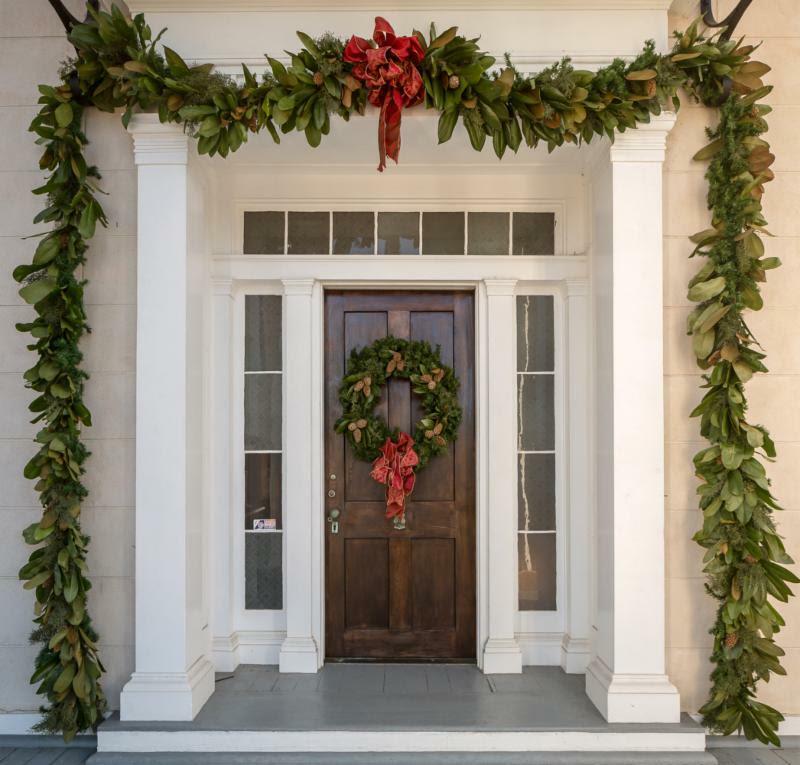 If Milledgeville isn’t one of your destinations during the holiday season, you’ll want to make time for a special stop here. The holidays in Milly are full of tons of festive lights, holiday specials and Christmas cheer. This means there are lots of celebrations to look forward to in anticipation of the big holiday. 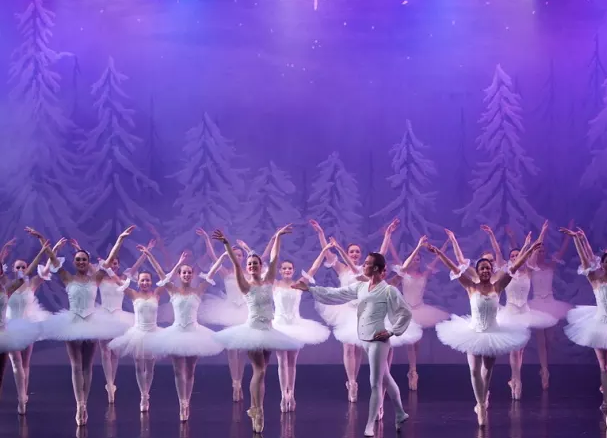 Here are five holiday events to gear up for this season in Milly! 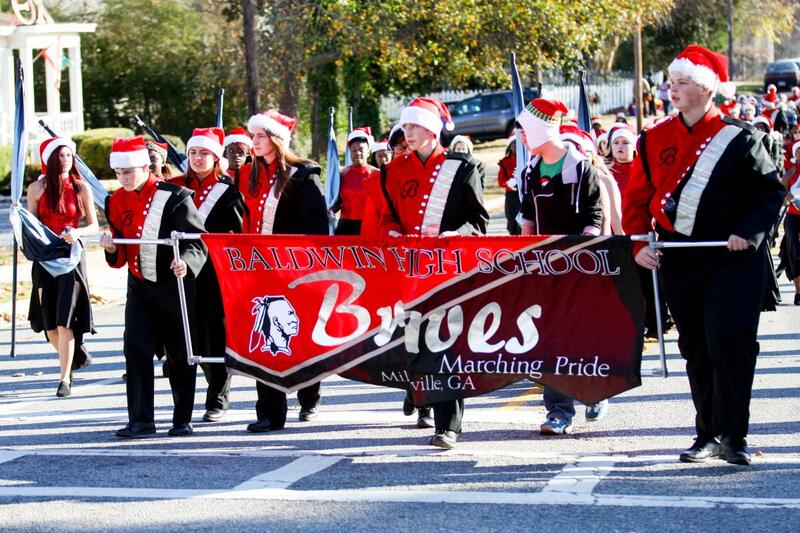 This Saturday, the Exchange Club of Milledgeville will be continuing its tradition of its Christmas Parade in downtown Milly and it promises to be a spectacular start to the Christmas season. This years theme will be “Christmas Around the World.” The annual parade is a local favorite and is a fantastic event for the whole family. Invite your friends, family members and bring your little ones to enjoy a night full of awesome performances from locals, festive floats and maybe even catch a glimpse of Santa Claus himself. Join the community on Saturday, December 2nd at 6 p.m.
respectively. Milledgeville’s four garden clubs will decorate the Rose Hill mansion in greenery fresh from the Arboretum grounds. Come enjoy the fresh smells and gorgeous holiday surroundings with your entire family. Last’s years Holiday Reception was such a hit, they sold out of tickets! Find more information and purchase tickets at www.Lockerly.org/events. Locals love the annual lights at the Reindeer Flight School! Each year, the quaint home turns into a marvelous winter wonderland complete with Santa’s sleigh and all of his reindeer, and maybe even a few extra. If you’re lucky, Santa Claus may even show up! The festive home will be covered in more lights than you can imagine and has been successfully bringing Christmas cheer to town for just under 10 years. You don’t want to miss it! Find more information on www.Facebook.com/ReindeerFlightSchool. 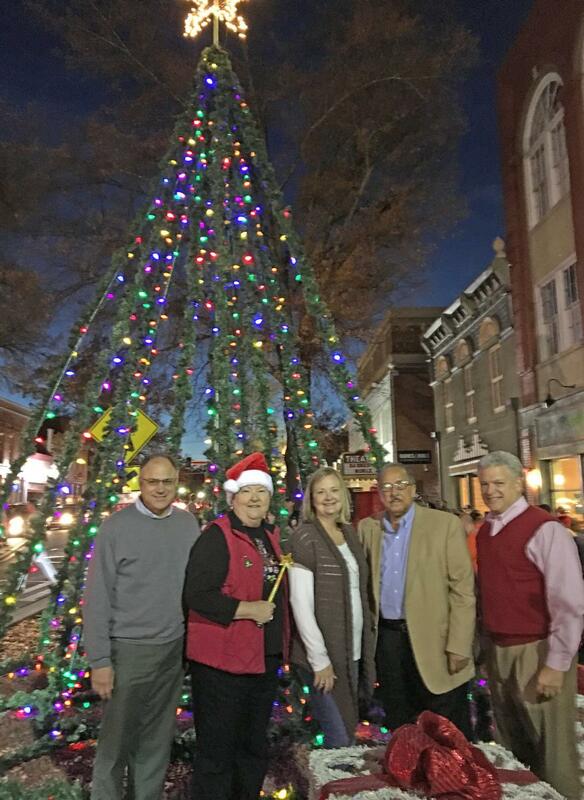 Milledgeville Main Street’s Christmas themed First Friday event for December is tonight, December 1st from 6-8 p.m. Downtown Milly is becoming a winter wonderland and we want to celebrate with everyone who can come! The annual Community Christmas Tree Lighting will kick off the event this year. 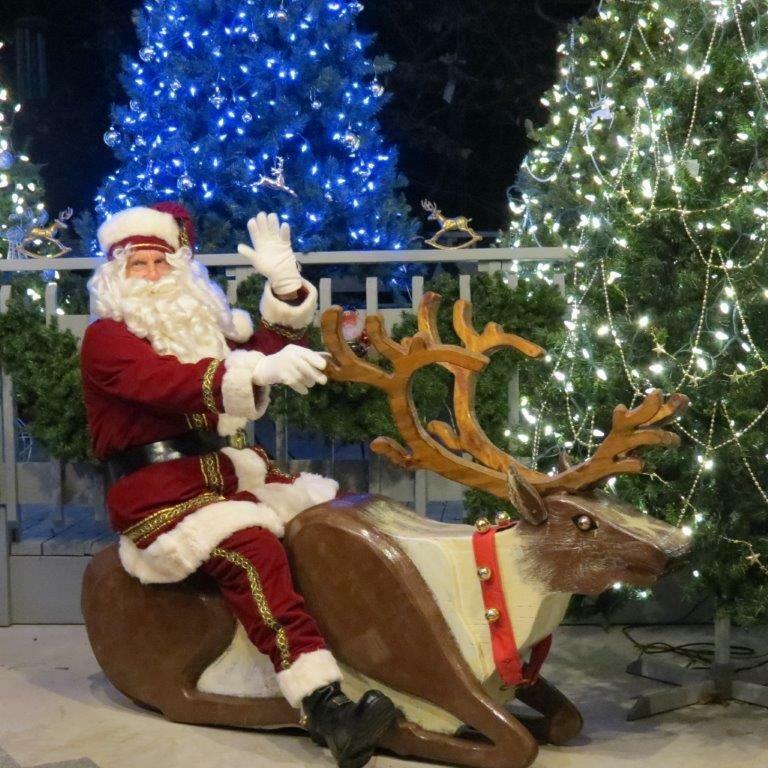 The beautiful tree is located right in the middle of downtown, West Hancock Street, right by the Local Yolkal and will be lit at 6 p.m. Bring your kids for festive face-painting and plenty of activities to get them in the Christmas Spirit. Don’t miss out on the live music and dancing from The Vibe Dance Center. Bring your friends and join in on the jolly fun! The Christmas season has officially begun here in Milly. For a complete listing of Seasonal events visit our calendar.